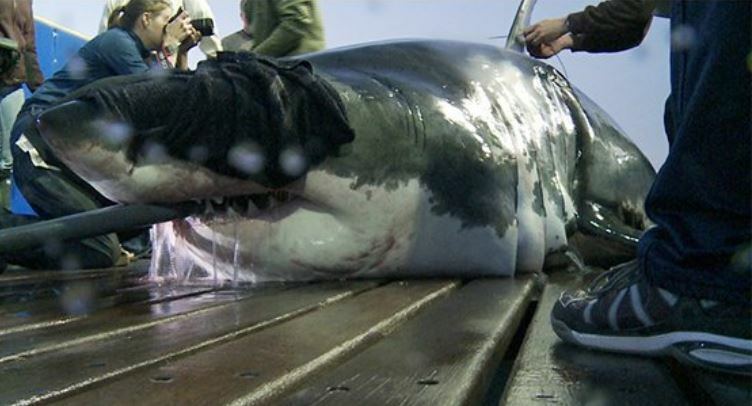 Mary Lee, arguably the most famous shark in America, has gone silent. After being tagged with a transmitter by research organization Ocearch off the coast of Cape Cod in 2012, Mary Lee gained a legion of loyal followers tracking her ocean journeys. She has nearly 130,000 Twitter followers. However, no ping has been registered since June, reports the Post and Courier of Charleston. The good news: It doesn’t necessarily mean the end of Mary Lee. Ocearch tells Jacksonville.com that it’s more likely the batteries in her transmitter, designed to last about five years, have finally given out. See related article: Probable Great White Shark Nursery Discovered off Long Island. Click here to read more at Fox News.